There are fixed and mobile versions of the Magic Carpet. The mobile version has a projector, a computer and a motion tracker. The projections are visually engaging and get the children on their feet, so it encourages them to interact and engage with the projections and each other. Magic Carpet makes learning fun with its gamified content. It’s a very inclusive way of learning and appeals to all learning styles. There is visual feedback, it is auditory and kinaesthetic at the same time. It is particularly engaging for children with autism. Indeed the product was initially intended for children with special educational needs, and its appeal has gradually expanded. Sensory Guru have an app store featuring hundreds of apps that can be downloaded for magic carpet. They also have an app builder which enables teachers and students to create their own apps, so they can then project their own content onto the floor. The on-board computer is of a high specification so there are no delays experienced with the projections. Additionally, it can also be controlled from any device. The product is currently only developed for key stages 1 and 2, but Sensory Guru intend to extend beyond that. They have a wall based system called Magic Mirror, and also a multi wall system, Magic Immersion. 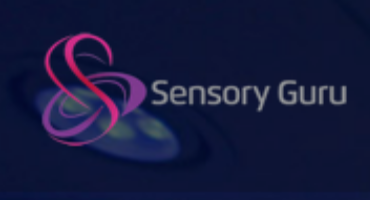 Sensory Guru’s products are exciting, innovative and imaginative, and I’m sure they will capture the imaginations of pupils everywhere.